The principles adopted to calculate future tariff reductions have evolved from the simple annual percentage in the original legislation. The new approach which applies from 2016 onwards uses the principles of default and contingent degression from the pre-2016 system, but the figures have all changed. There are now two elements taken into account. 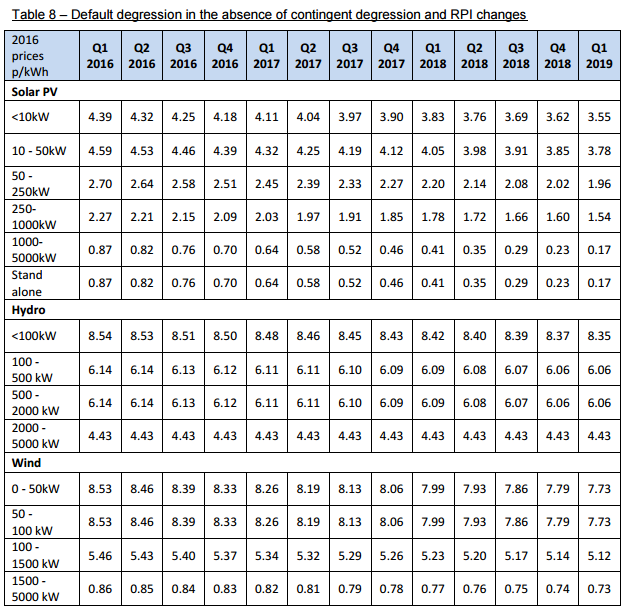 This element allows the degression rates to be adjusted depending on the actual levels of deployment under the FITs. The tariffs will be reduced by 10% when the deployment in any technology band hits the caps set by the government.